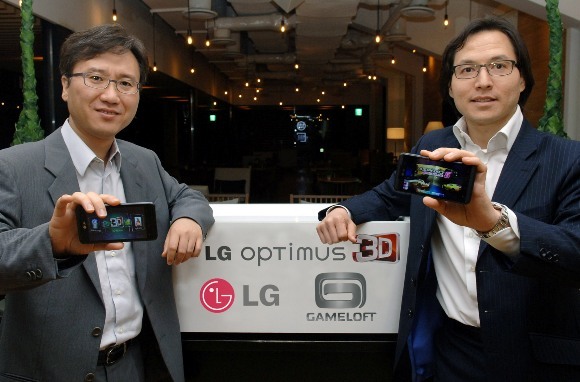 The Korean giant LG announced the launch of it's flagship gaming device LG Optimus 3D in Korea, along with the phone it also launched 17 Stereoscopic games whcih have been developed by Gameloft. The Optimus 3D comes pre-installed with 3 games, and 14 others can be downloaded at discounted rates for Optimus 3D owners. Titles such as: Assassin’s Creed: Altaïr’s Chronicles, James Cameron’s Avatar, Ultimate Spider Man: Total Mayhem, GT Racing: Motor Academy, Shrek Kart, Modern Combat 2: Black Pegasus, Real Football 2011, Star Battalion, N.O.V.A. 2 -- Near Orbit Vanguard Alliance, Dungeon Hunter 2, Fishing Kings, BackStab, Eternal Legacy and Shadow Guardian will be offered to Optimus 3D owners at half price for the first three months. Archer Craft, an LG produced S-3D game, will also be available as a free download. Special software available only on Optimus 3D allows for real-time conversion of 2D photo and video content into 3D. Furthermore, LG is taking content creation to a new level with a free software that can convert 2D games to 3D, available for download to all Optimus 3D owners in the third quarter. The LG Optimus 3D, the world’s first smartphone with full 3D and Tri-Dual (dual-core, dual-channel, dual-memory) architecture. The LG Optimus 3D is currently being introduced in over 60 markets around the world. The main and the only competition at the moment for the Optimus 3D is already very popular HTC EVO 3D. The 3D market is certainly getting hotter.